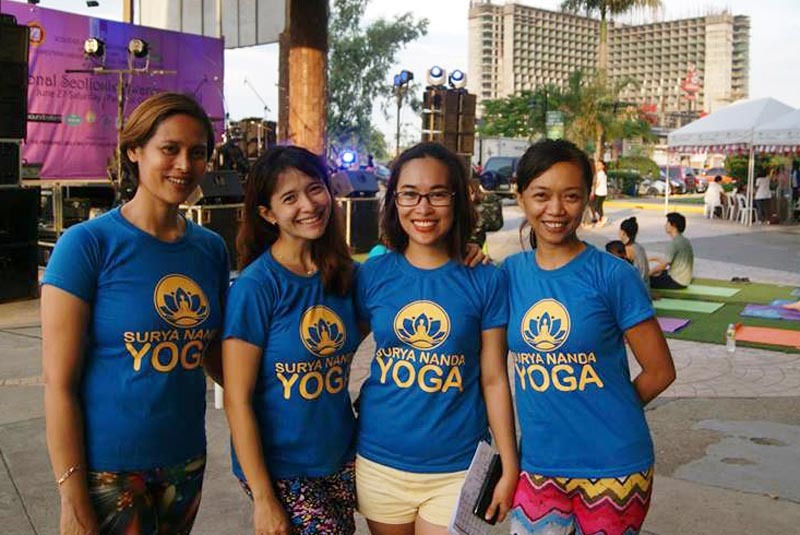 With teachers Feri and Claire as the new faces of Surya Nanda (in my dealings), it was a fresh start on a clean slate. 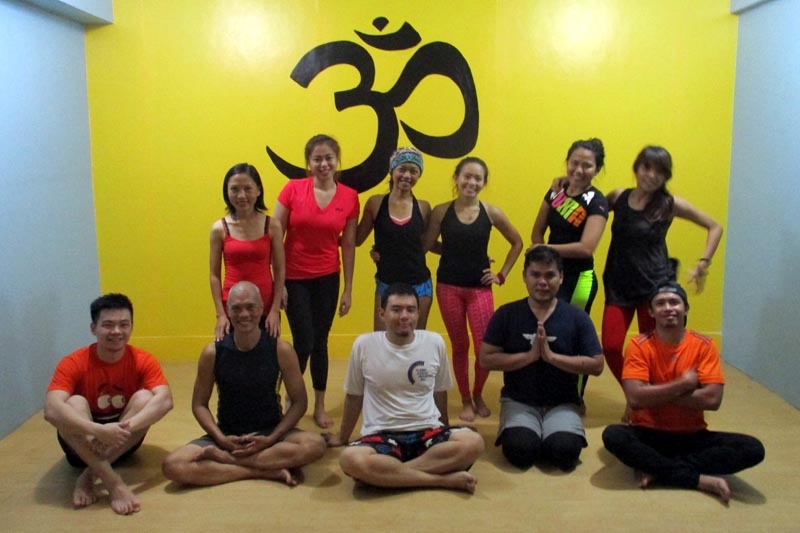 Tuyen, my Vietnamese traveling buddy whom I was hosting in the Philippines, had her yoga immersion and I also had a chance to get back in the yogic groove by participating in several classes and teaching a beginner class. With a 3:45pm class, I had one student. My student was smart. She knows it's a dead time slot so there won't be too many students and she gets quality time with the teacher. 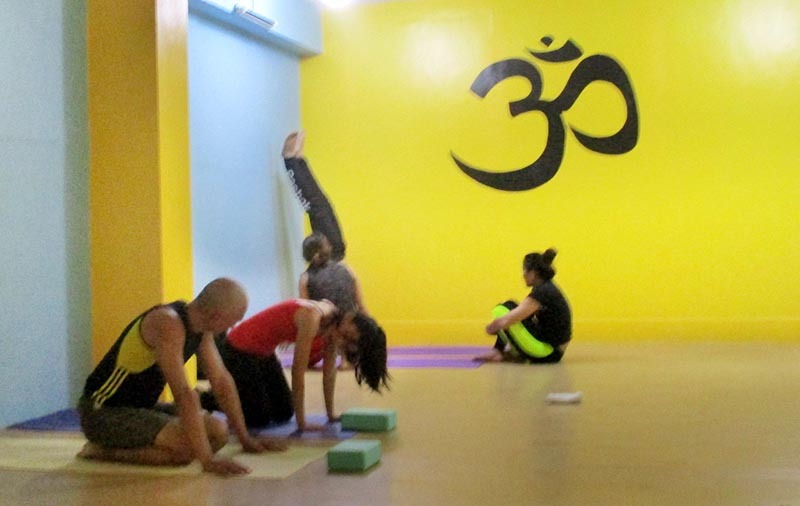 For me, with just one student, it became more of a workshop/vinyasa flow, making frequent stops to address compelling asana and philosophical issues. I wasn't even too concerned about finishing my sequence the way I planned it. What mattered to me was laying down a philosophical cornerstone that would anchor her in deepening her practice. Yes, even though my sequence was for beginners, it wasn't designed to be a walk in the park. She was winded and almost paniced - a good opportunity to make her mindful of the sensation, oberving it without reacting to it. She was a fast study. I can only hope it was motivational for her as much as it was a rude awakening. Perhaps the most elusive of all yoga poses for me is the handstand. I had been attempting to hold my handstand into a steady-state for years now. But I still wobble and end up walking on my hands. Michelle's approach is to breakdown the process - repeated tucks, repeated air kicks, etc. She does it effortlessly. Of course, no one can do the handstand after just a clinic. Bottomline is still consistent practice, applying what was learned. 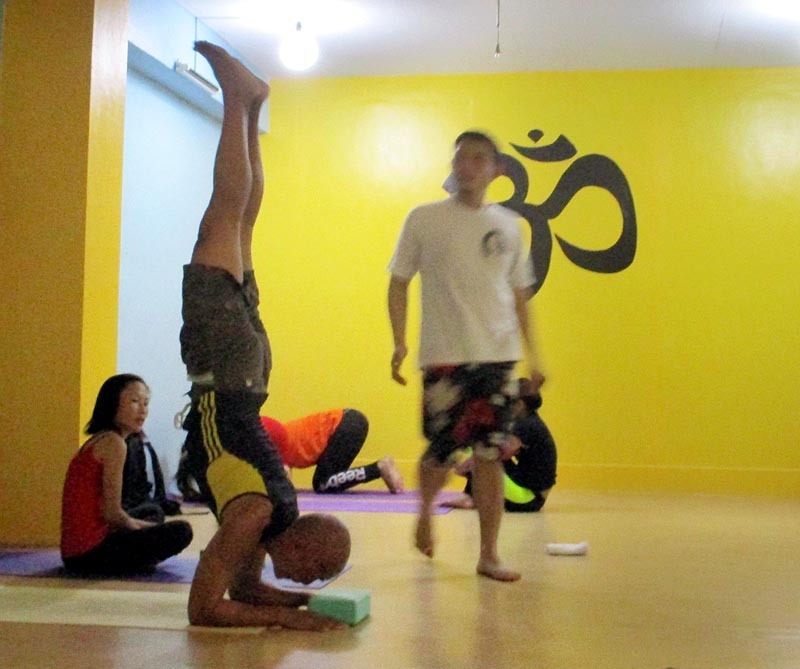 Tuyen was fearless in kicking up to vertical and doing wall-assisted headstands. She'll do well. As a community service by Southwestern University Physical Therapy Dept. and the Scoliosis Asso. 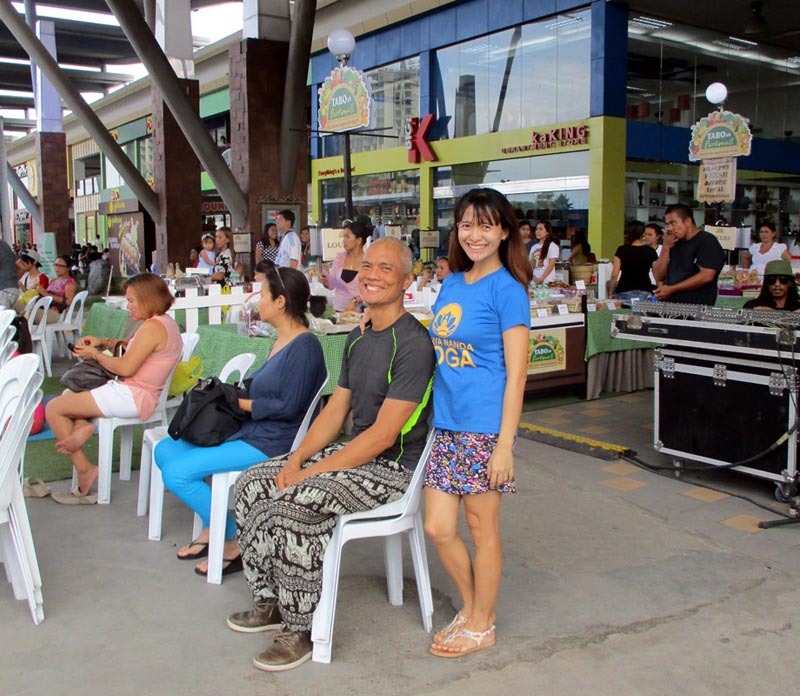 of the Philippines, a scoliosis awareness event took place at Park Mall where people were given free diagnostic screening if they have scoliosis or not. Alarmingly, up to 10% of women and 5% of men in the US are afflicted with it. Most however, are not severe enough to require medical attention. I took the assessment and they gave me an "11" score meaning I have a mild curvature but any score less than "18" fall within 'normal' range, so no worries. 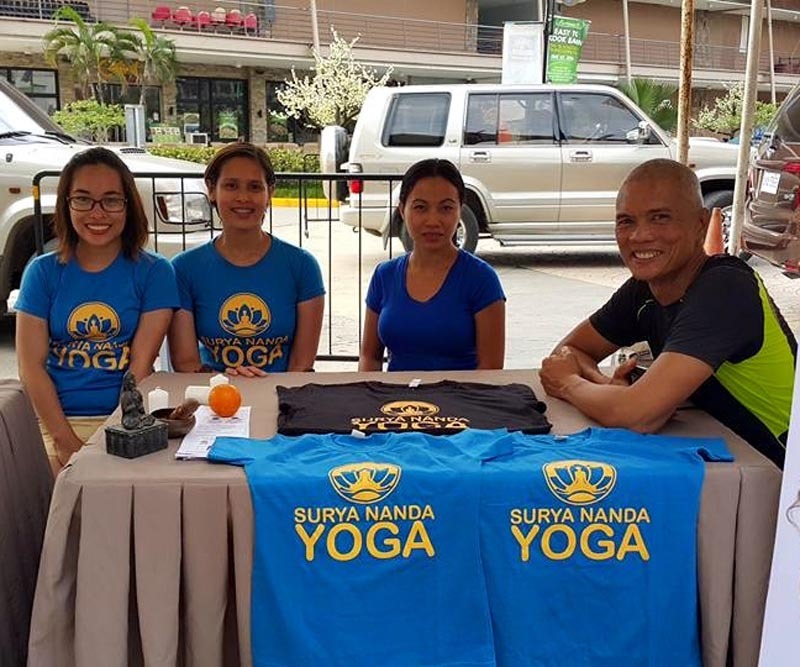 Surya Nanda was one of the sponsors of the event giving a free yoga class in an outdoor setting. Yoga is a tried and true reliever for scoliosis sufferers. With a yoga practice, the core can be developed enough to provide ample support to the spinal column, preventing vertical misalignment. The core muscles take the load-bearing tasks instead of passing it on to other muscle groups that are not designed to carry such load. Balance is attained putting the body in a state of homeostasis, allowing it to heal itself. 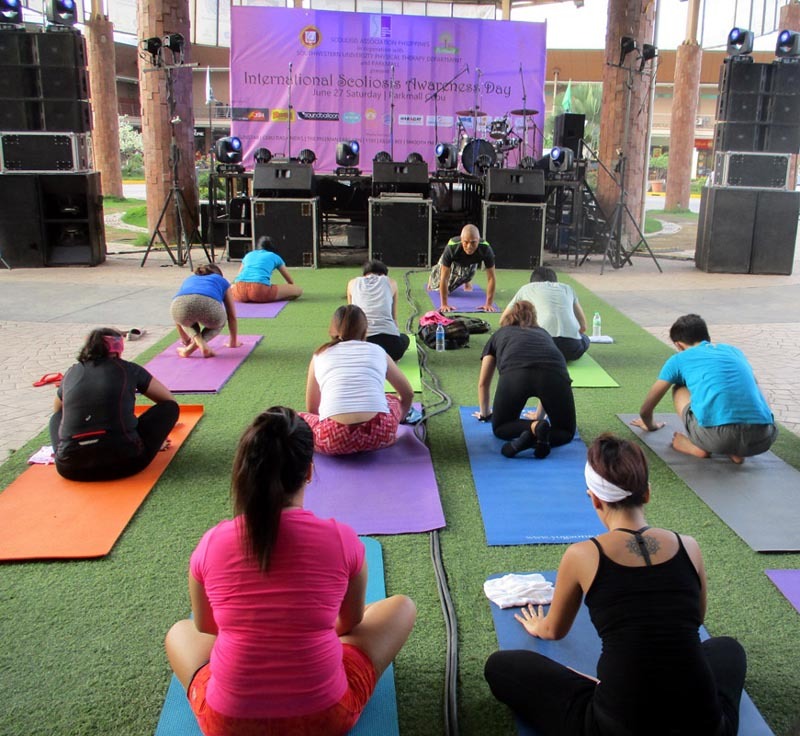 Yoga perhaps is the most effective general cure-all, or putting it more accurately, the best preventive maintenance in keeping the doctor away. 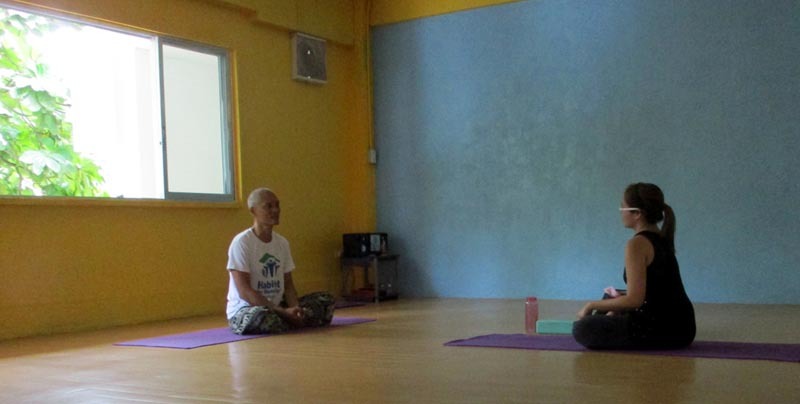 I was asked to handle the 2nd stage of the session focusing on seated and core poses. 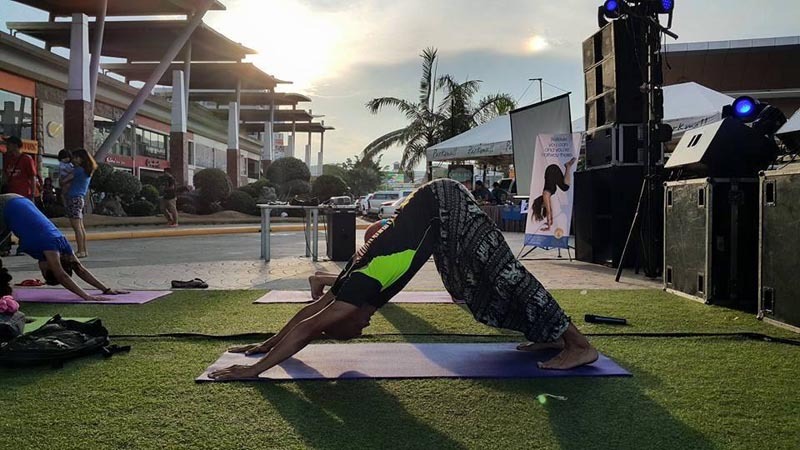 Since most of them seem to have a strong practice, I opted for the more challenging poses, testing their resolve but constantly reminding them to observe the body sensations instead of reacting to the induced stress. After the class, a few students approached me for a selfie or asked where I teach - a good indicator on how my method resonates with them. 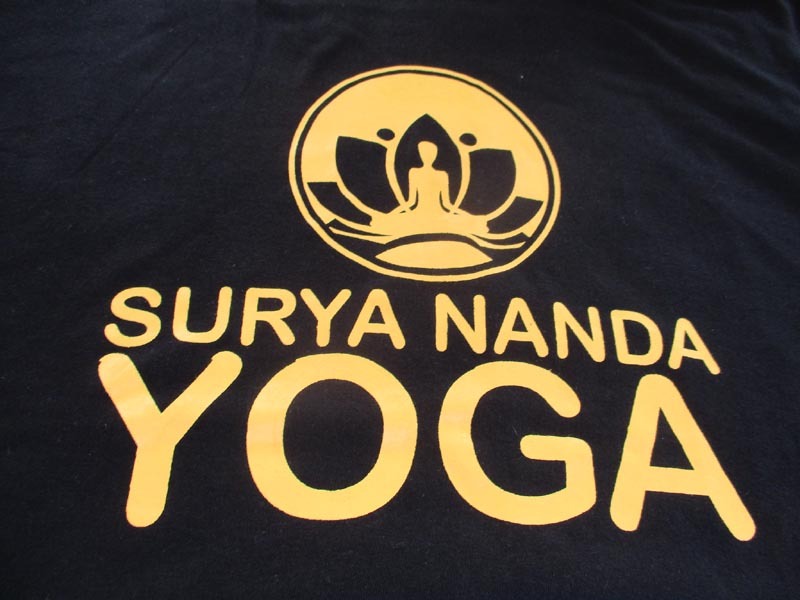 Altogether, it's good to be bridging with Surya Nanda Yoga again. I don't know how this progresses, but it's off to a good start.